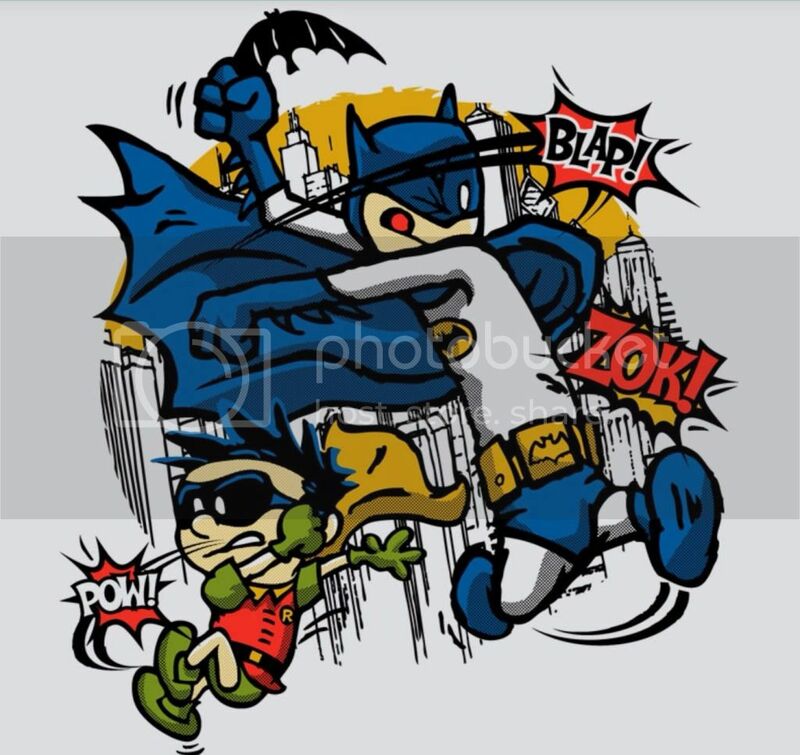 A bit off-topic, but RiptApparel.com had this t-shirt for sale today...merging two of my great childhood comic loves. I may just have to consider this for a tattoo. ^ That would make a cool tattoo!!!! Also, dammit, when you visited I meant to show you the two Calvin & Hobbes books we have! Sorry, I forgot! Schulz would love this. Not. We used to call my son Nick "Calvin" when he was a youngster - for good reason. As soon as he hit his teens it became "Jeremy." How Watterson and then Scott & Borgman so perfectly capture the ethos of what it is to be boy growing up continues to amaze me to this day. Who doesn't like some Calvin and Hobbes! In the last month or two I've looked to greatly expand my collection of cartoon books. Having discovered Giles, I've now acquired almost all of the annual collections, which started in the late '40s and is still going strong (even though Carl Giles died in 1995.) The best source for these has been UK booksellers using Amazon.uk. Likewise Norris, by Len Norris, that ran from the early '50s well into the late '80s in the Vancouver Sun. I've also made significant additions to my collections of Andy Capp, Beetle Bailey, and Crock pocketbooks. One of the treats in buying used books (online, and at local book sales) is getting ones with messages written into them. "To so and so from grandpa, for Xmas" - that sort of thing. But even better is finding author-signed copies. Just this week I discovered one signed by Terry Mosher ("Aislin") and another by Andy Donato ("Donato"). Neat!